One of the most important books ever written on domestic violence, Coercive Control breaks through entrenched views of physical abuse that have ultimately failed to protect women. Evan Stark, founder of one of America's first battered women's shelters, shows how "domestic violence" is neither primarily domestic nor necessarily violent, but a pattern of controlling behaviors more akin to terrorism and hostage-taking. 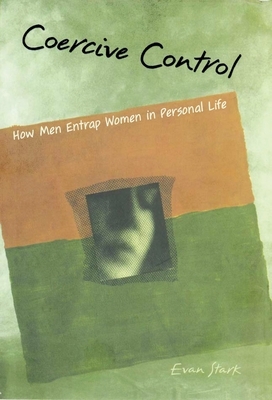 Drawing on court records, interviews, and FBI statistics, Stark details coercive strategies that men use to deny women their very personhood, from "beeper games" to food logs to micromanaging dress, speech, sexual activity, and work. Stark urges us to move beyond the injury model and focus on the real victimization that allows men to violate women's human rights with impunity. Provocative and brilliantly argued, Coercive Control reframes abuse as a liberty crime rather than a crime of assault and points the way to bringing "real" equality for women in line with their formal rights to personhood and citizenship, freedom and safety. Evan Stark is an award-winning researcher and has served as an expert in over l00 cases involving battered women and their children. He teaches at the Rutgers School of Public Affairs and Administration and Chairs the Department of Urban Health Administration at the UMDNJ School of Public Health. With Dr. Anne Flitcraft he is the coauthor of Women at Risk: Domestic Violence and Women's Health. He lives in Woodbridge, Connecticutt.